Even before the withdrawal agreement was released to them, Brexiteers and Remainers alike were outraged by its contents. Since then, the release of the 585-page document has inevitably added fuel to the fire. The finer details of the controversial deal are now being discussed at great length and the implications are becoming clear. The agreement would impose a backstop arrangement of “a single customs territory between the [European] Union and the United Kingdom”, which will apply from the end of the transition period “unless and until … a subsequent agreement becomes applicable”. 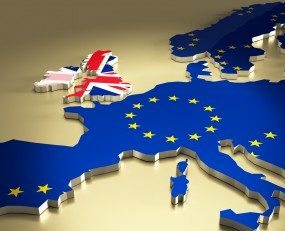 In other words, if the EU and UK fail to agree a free trade agreement before the end of the transition period (due to finish in December 2020), the UK will remain in a variant of the EU customs union, with Northern Ireland receiving special treatment due to its geographical border with the EU. The agreement, in former Brexit Secretary Dominic Raab’s terms, “is now also taken as the starting point for negotiating the Future Economic Partnership” between the EU and the UK. This explains much of the outcry and part of his (and others) reasons for leaving the government. Assuming this backstop is put into action, where the UK would remain within this single customs territory, there will be “no tariffs, quotas and checks on rules of origin between the EU and the UK, with the exception of fishery and aquaculture products.” This is because the UK would align tariffs and rules applicable to its customs territory with the EU. A previous brief gives further detail of how customs unions work in practice. Essentially though, this is welcome news for the UK logistics industry, as it allows for fewer barriers to trade with the EU than a ‘no deal’ Brexit would have seen. However, it by no means grants the ease of trade between the two parties that the single market currently enables. Additionally, barriers would be erected for trade between Great Britain and Northern Ireland. Checks would need to be carried out on industrial goods that cross the Irish sea, although checks could largely be carried out at traders’ premises. For agricultural products, checks at ports and airports would “need to continue, but will be increased in scale in order to protect the EU’s Single Market, its consumers and animal health.” It is not clear what new infrastructure and arrangements would be needed to carry out these checks. The agreement therefore does claim to avoid the need for a hard border on the island of Ireland. To ensure this, Northern Ireland would need to remain aligned to EU rules, a key principle that many members of the Conservative party and the DUP will struggle to swallow. Reaction from logistics executives has been optimistic, given that they have spent the last few months reading ‘no deal’ guidance papers. Following a raft of resignations from cabinet ministers, the Prime Minister’s position looks fragile at best. This is the deal she negotiated and stands behind. Therefore, any change at the top of government would throw this agreement into question. UK logistics executives will hope in particular that the agreement on “no tariffs, quotas and checks on rules of origin” remains in place.